Nurturing Assistance is a consumer-directed service that provides physical assistance to parents with disabilities who have young children. Nurturing Assistants are not babysitters or nannies, nor are they volunteers or family members. They are paid employees who work under the direction and in the presence of the parent. Their role is to assist the parent with parenting activities such as bathing and changing the child, preparing meals, lifting, carrying, nursing and cuddling the child, playing and parent-child interacting. Almost 13 years later, the concept of Nurturing Assistance is still not well known. However, the need for more support for parents with disabilities has become more evident in the past decade. A growing number of people with disabilities are deciding to raise their own families. 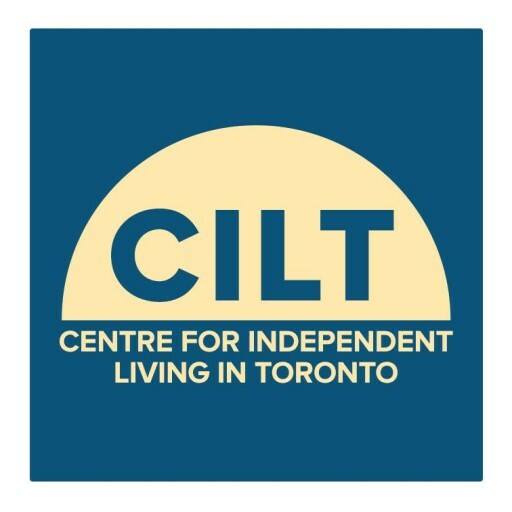 The past decade has seen an increasing number of inquiries at the Centre for Independent Living in Toronto (CILT) from parents/prospective parents with disabilities who require physical assistance to care for and nurture their children. In 1997, CILT responded to the growing number of inquiries by implementing the Parenting with a Disability Network (PDN). Since then, the PDN mailing list has grown from 97 to 250 individuals, a further indication of the growing interest and need for supports for parents who have a disability. A 1997 PDN survey clearly identified the need for the development of a model that would address the unmet needs of parents/prospective parents with a disability. In 1999, CILT and the PDN published The Parenting Book for Persons with a Disability: from planning your family to raising adolescents, a comprehensive resource for parents and prospective parents with a disability. Learn more about The Parenting Book. There are currently three avenues through which a limited number of parents have successfully obtained Nurturing Assistance in Ontario..one is through the Direct Funding Program. Through Direct Funding, consumers receive funding to hire, train and pay their own Attendants. Consumers with young children have been able to allocate some of this funding to hire Nurturing Assistants. To learn more, please visit the Direct Funding section of this site. The other two avenues are through certain Ontario Attendant Service Providers and through Outreach Programs that have arranged to receive funding from the government to provide Nurturing Assistance to the consumers they work with. Because Nurturing Assistance is not widely known, even among service providers, it is generally heard of through word of mouth. Parents who are receiving this service have had to find the service, or advocate for the service, on their own. With this general lack of awareness, there is limited access and availability of this type of support. Another problem stems from the fact that people with disabilities who do not use attendant services often require assistance following the addition of a child to their family. For example, a father with Muscular Dystrophy may be independent with self-care but cannot lift, change or feed his child without assistance. Many parents with disabilities fall into this group. At present, there are no mechanisms to fund or provide Nurturing Assistance to non-attendant service users. CILT started the Nurturing Assistance Project in August 2000. Lead by an Advisory Committee of parents with disabilities and service providers, the goal of the project is to create a model of Nurturing Assistance that can be used by parents, service providers and funders to develop/implement Nurturing Assistance services. The guiding principles for the development of this model are consistent with the principles promoted by the Canadian Association of Independent Living Centres (i.e., consumer control, peer support and full integration). Through interviews with parents and prospective parents, service providers and other key informants, the project will document the extent and type of parenting supports and/or Nurturing Assistance services that are currently available in Canada and internationally. It will also outline the process consumers might follow in planning and obtaining their own Nurturing Assistance services, and provide stories and advice from current users of Nurturing Assistance services based on their own experiences. The result of the Nurturing Assistance Project is a book serving as a how-to guide for policy makers, funders, service providers, parents and prospective parents with disabilities wishing to establish Nurturing Assistance services. To order the nurturing Assistance Guide, or for more information on Nurturing Assistance, please contact the PDN Coordinator at peers@cilt.ca.